"They’re from Norway," the editor said. Well, that’s a good start, I thought, when I was asked to review this album by a band I’d never heard of before. Over the last decade, Norway has for this reviewer been something of an El Dorado of great new jazz music, with fine artists such as Eyolf Dale, Pixel and Daniel Herskedal producing great album after great album. It’s become one of my go-to jazz nations. But I was taking a leap in the dark with Moskus – comprising Anya Lauvdal, keyboards; Fredrik Luhr Deitrichson, double bass; and Hans Hulbaekmo on drums/percussion – which is trailed as heavily improvised, almost free jazz. And that can often be musical kryptonite for me. But, all in all, this was rather fun and most definitely eclectic. Mirakler feels like a jazz album film director David Lynch would make. Defiantly odd, unnervingly eerie, simply weird in parts, there is nonetheless something oddly compelling. It’s not the melodies – there are few. And it doesn’t swing – rather, it jumps, shuffles and stumbles around. No, Moskus just exists in its own musical world. It stands proudly defiant and says: "tart, unusual and crunchy sounds are all we offer". A cornichon in a world full of jazz pickled onions. Sang til C is a five-minute musical doodle which goes everywhere and nowhere but, in those five minutes, has a story of sorts to tell. Eventyrdagene introduces a child’s electric piano, tambourine and muted bass – plus some piano – in a charmingly naive little tune that sounds like the cast of Play-Away rehearsing after a particularly heavy night on the sauce. But, if you give it time, moods and musical pictures emerge. Each tune is different in style to the previous. Voyager is '60s space-age jazz, vibraphones, synths and bass piano notes, producing something akin to the soundtrack of an East German puppet show about the first German cosmonaut Sigmünd Jahn. It is really rather fun, particularly Deitrichson’s simple but oddly insistent bass. Haiku is 13 seconds long. Yes, you read that correctly. Min venna skaperverk is perhaps the most conventional track on the album, it has a sort of Jim Morrison psychedelic mood to its opening bars – but with added milk bottles – and builds over time before a dramatic pause. But again, one minute 18. What Moskus lack in melody, they make up for in brevity. This is certainly one of the strangest albums I’ve reviewed. Can I say I enjoyed it? I’m genuinely not sure. I can certainly say I experienced something unique, a refreshingly non-commercial album that's stubborn in its idiosyncrasy. 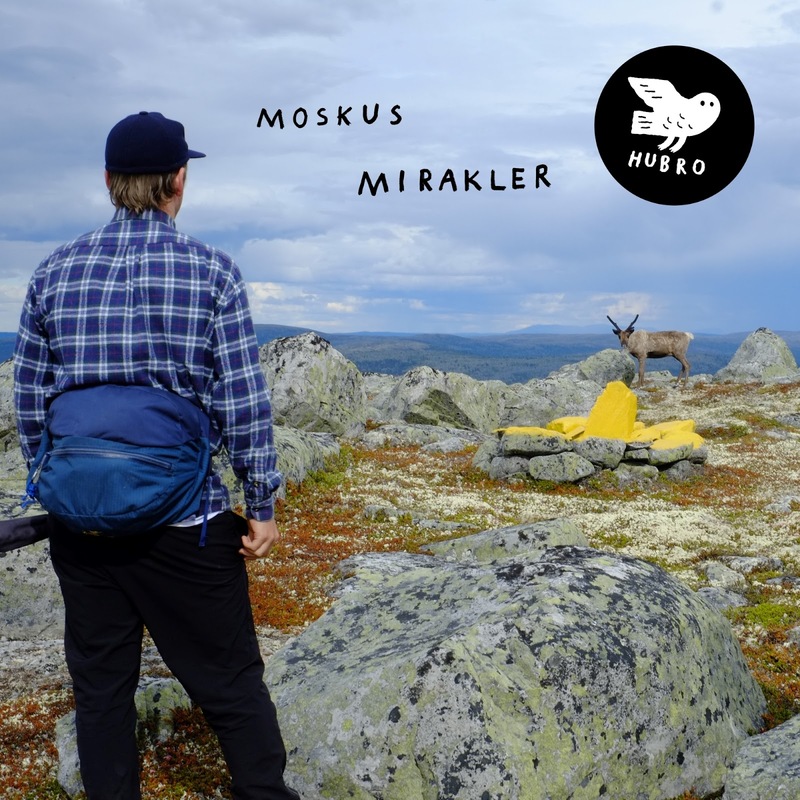 Mirakler has a fragile beauty to it and deserves further listening, because there’s gold in these Norwegian waters. You just have to search very hard for it. I was intrigued by this review, but the album isn't out until 16 August.... But! Their soundcloud has some great stuff on it, particularly enjoying the slightly Gold Room piano of "Den store skjønnheten"
Highly recommend their sophomore album. More melodic than their last two but still lovably oddball.